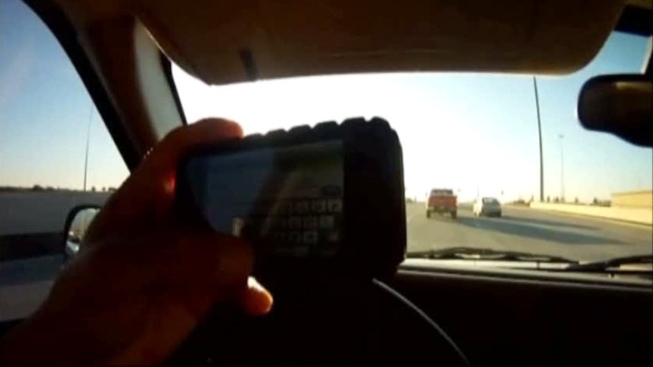 A local driving teacher says more education is needed to stop widespread texting among teen drivers. Gary Murray, of Comedy Guys Defensive Driving, said many of the teenagers in his classes have admitted to texting while driving. According to a federal study, 58 percent of high school seniors said they had texted or e-mailed while driving in the past month. Nearly 43 percent of high school juniors admitted the same thing. The Centers for Disease Control and Prevention released the results of the anonymous national study, which was conducted last year, on Thursday. Murray said it will take time for teenagers to understand the danger. "It's kids -- you have to reinforce it, reinforce it and reinforce it until they get it driven in their heads what they're doing is dangerous," he said. Murray said teenagers think they are indestructible and don't realize that things can hurt them. "When I have kids in class and they've been texting and driving, I always ask them, 'What's so important about texting?' The basic reason they give me is they don't think," he said. Murray said that people should also remember that texting is fairly new. "That's the problem -- it's very new," he said. "I mean, five years ago, most people didn't even know what a text was." Arlington recently banned texting while driving, and Murray said he expects other cities to pass similar measures.